During the winter months, it’s particularly important that your windshield wipers are as effective as possible, clearing away the snow and the muck to offer ultimate visibility. Are your windshield wipers in good shape? 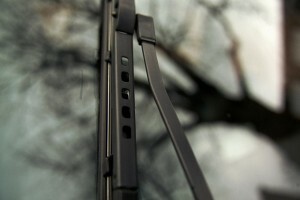 Here are a few tips to keep in mind when you inspect windshield wipers. Make sure that everything is connected appropriately. Look for any visible tears, cracks, or other damage in the edge of the rubber squeegee. Search for rust or metal corrosion, especially at the joints. Ensure that the wipers are appropriately contoured to the windshield and that their shape has not warped overtime. If your vehicle has a rear windshield wiper, don’t forget to explore it, too! While you’re investigating your windshield wipers, it’s always a good idea to replace and/or refill your wiper fluid. If you think that your windshield wipers are broken or are not working as they should, it’s always a good idea to replace them. For more winter weather driving advice, or to check out a new vehicle that’ll be perfect in any season, visit us at Avery Greene Honda. This will not only increase the power of the already large vehicles, but also the two-motor hybrid system will seriously improve vehicles’ fuel economy, which is typically a weak point for large models on the automotive market. The brilliant engineers at Honda were able to make the two-motor hybrid system work for the Odyssey by cutting down on the size and weight of some of the heftier components, such as the battery. It’s unclear when the Honda Sport Hybrid i-MMD powertrain will find its way into American vehicles, but it’s safe to assume that it’s on its way, particularly for Honda minivans and other vehicles similar in size. In the meantime, visit us at Avery Greene Honda any time to check out what we currently have available!